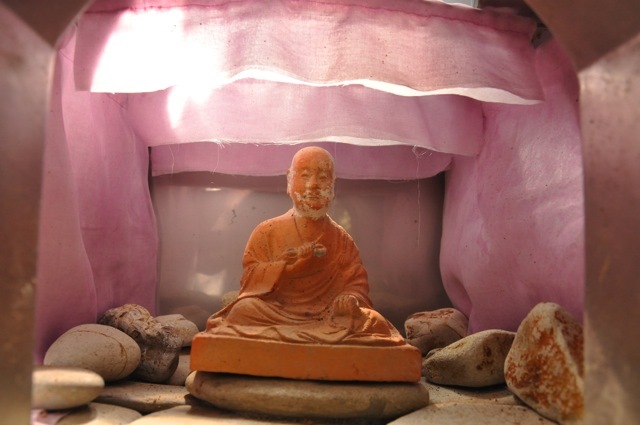 80 years ago, eighty eight small shrines celebrating the famous bouddhist monk Kobo-Daishi were built in Saku-island, in the prefecture of Aichi. Time passing many of them were decaying. We were asked to design four of them. 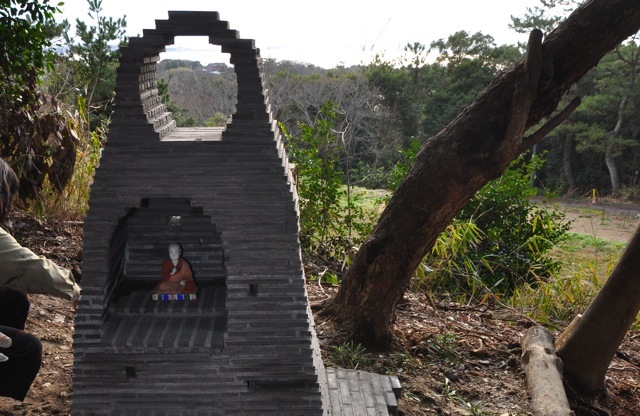 This shrine is made of brick tiles burned at near by Chita-peninsula, stacked together. This in reference to past shrines which were usually built with bricks. Horizon can be viewed through the window on the top of the small shrine opened towards Mount Koya where Kobo-Daishi has his grave. 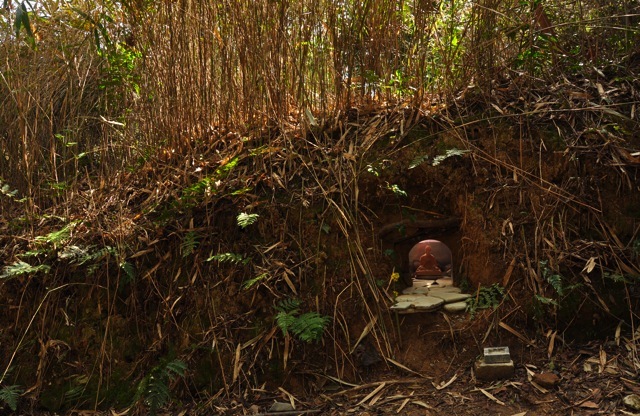 This shrine is partly buried in the slope of a hill. The stainless sheet of its vault reflects sunlight around noon in sunny days coming though a hole in the earth on the statue. Interior is decorated with cloth dyed by the dye of shellfish. 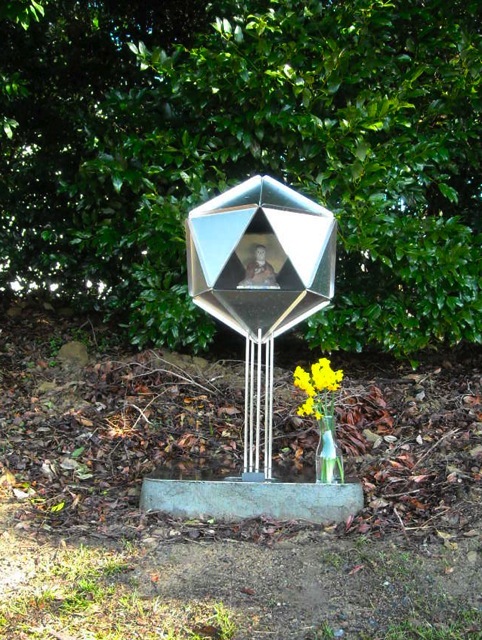 This icosahedral structured shrine is built along a grove of tangerines, which associated from Henjo-Kongo, a posthumous buddhist monk, and a vein of Silver, Mercury. 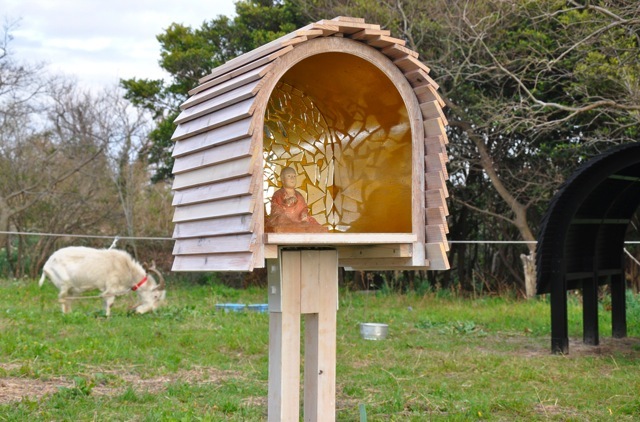 This shrine built in wood ressembles a mailbox where messages arrive. Its interior is painted gold with cracked mirror on the back of the statue. 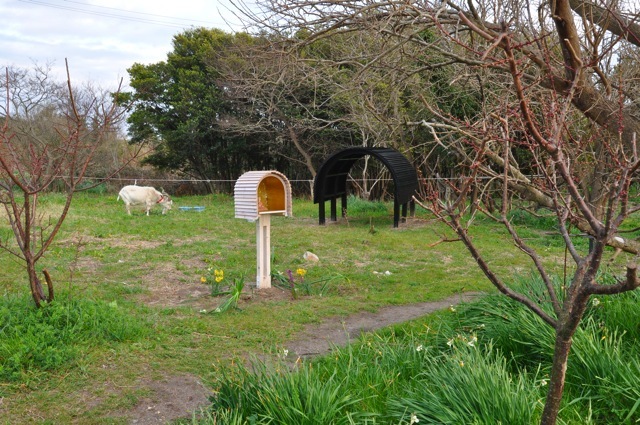 Next to it, a shed for a goat bred by the commoners, is built with a similar shape, expressing relation between spirit and living creatures. 施工 Contractor:名城大学理工学部建築学科有志 Volunteer of Department of Architecture, Meijo Univ.